Give your retail store some fighting power over online shopping! Home News In the era of online shopping, give your retail store some fighting power! Unfortunately for retailers – whether boutique stores or departments stores, the impact of ecommerce has been a hard hit. Over the past few years, retail stores which were once growing prolifically have had to take a step back with expansion plans into new stores to invest in online stores, adaptations to stores to collect online orders and more “one stop shops”. For consumers, what online stores fail to deliver is the all-round shopping experience. Tangible products – trying on clothes, getting a makeover at a department store counter or having shoes fitted in store cannot be replicated by a computer screen. In a complete change of direction, beauty brands Birchbox and Credo have announced a move from online sales into bricks and mortar. Perhaps reflecting the public interest in shopping and seeing product first hand. Is this the start of a new trend towards more retail stores? It’s important for any retailer – whether opening a new store or an existing retail establishment, to ensure clients know you are there, that you are open and your store is welcoming. For physical stores to succeed against online competition, of course the offering itself must be worthwhile, but an eye-catching store goes a long way to attracting customers. We’ve all walked past a store with an amazing holiday window display and told our friends, equally, if we drive past a modern and exciting looking clothes store, we are naturally tempted to pop in and have a look. Why not look at our range of storefront graphics, barricades and seasonal displays? 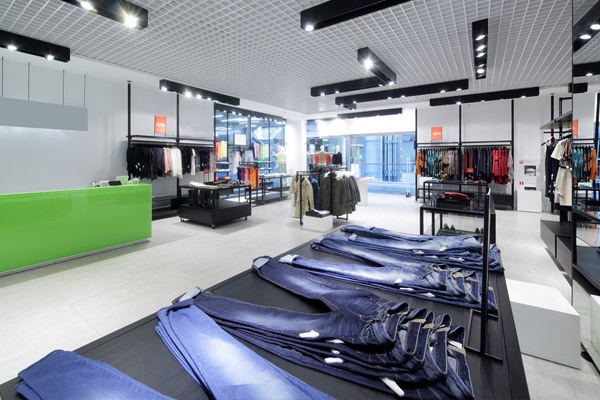 The competitive retail environment is tough – many of our competitors do not even have a physical presence – but by making the retail store as appealing and inviting as possible, we are already one step ahead of a website! For great ideas to maximise the potential of your retail space, talk to our experienced consultants here at AGRetail today.